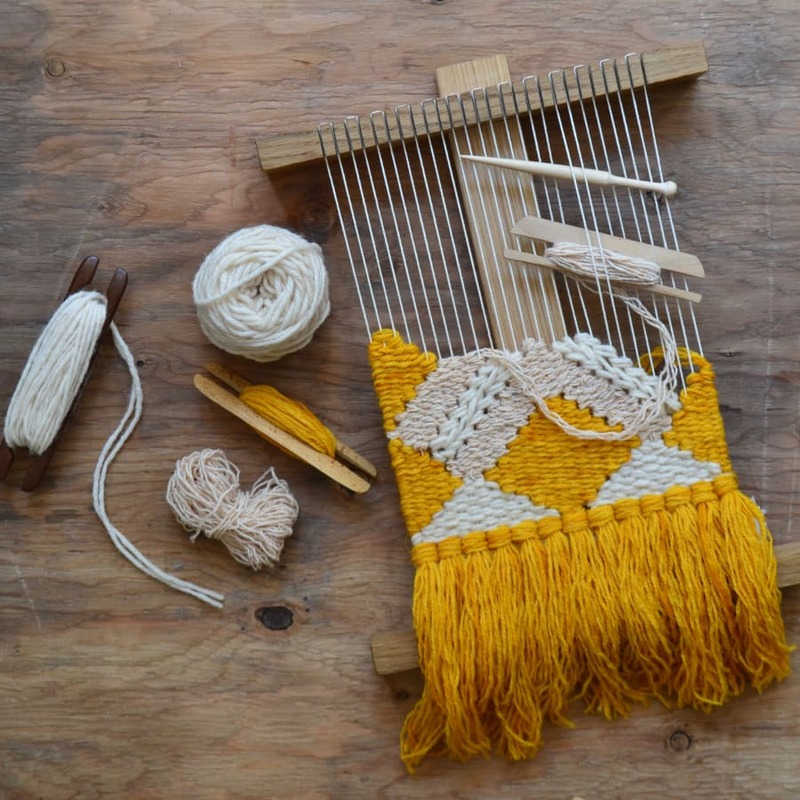 A 6-hour class covering everything you need to know to get started with weaving on your own loom. 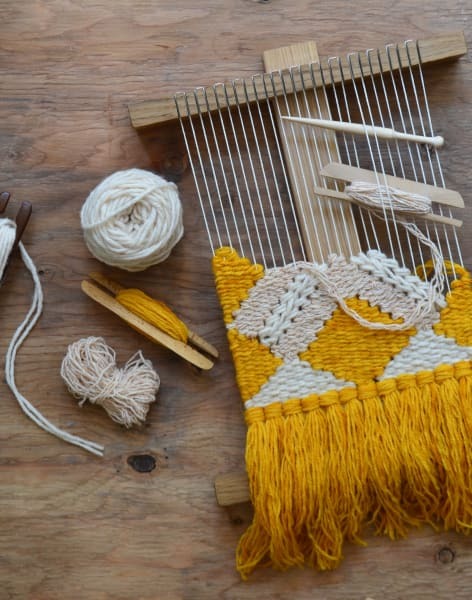 This is a 6-hour class covering everything you need to know to get started with weaving. 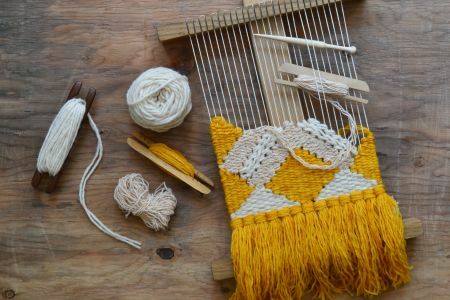 Your teacher will cover the basics of warping your loom and starting to weave, before moving on to shape-building, creating texture and mixing colours. Classes are 4-5 people maximum, allowing for plenty of one-to-one teaching. 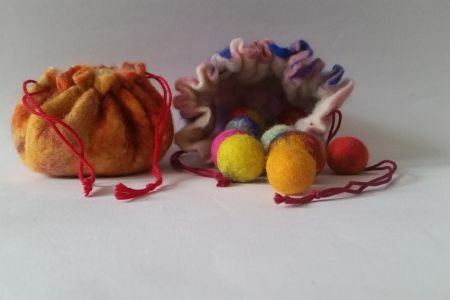 All materials will be provided, including a large selection of wools and yarns for you to work with. You will receive your own handmade loom, weaving tools and instruction booklet to take home, along with wool. 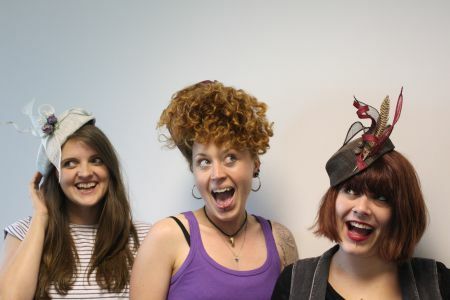 The workshop takes place in a studio in Peckham, south east London. 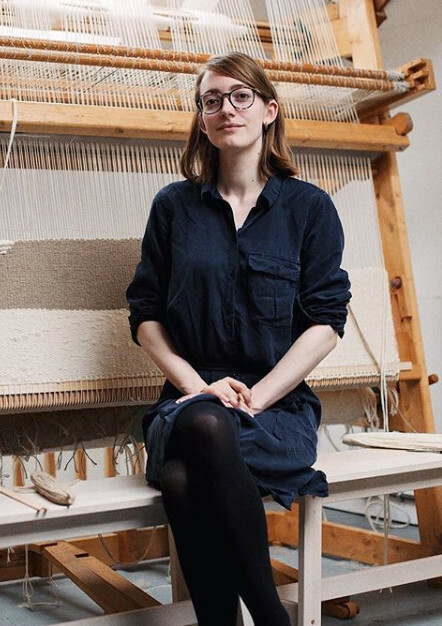 You’ll be able to learn more about the day-to-day running of a tapestry studio as well as see demonstrations on the teachers floor loom and upright tapestry loom. Christabel Balfour is an artist and tapestry weaver. She weaves large-scale rugs and wall-hangings on her two large floor looms which she restored and reassembled herself. Her work employs soft pastel colours and simple geometric shapes to create a sense of openness and tranquility. She hosts workshops in her home studio in Peckham, where she teaches the same techniques that she uses in her own work. 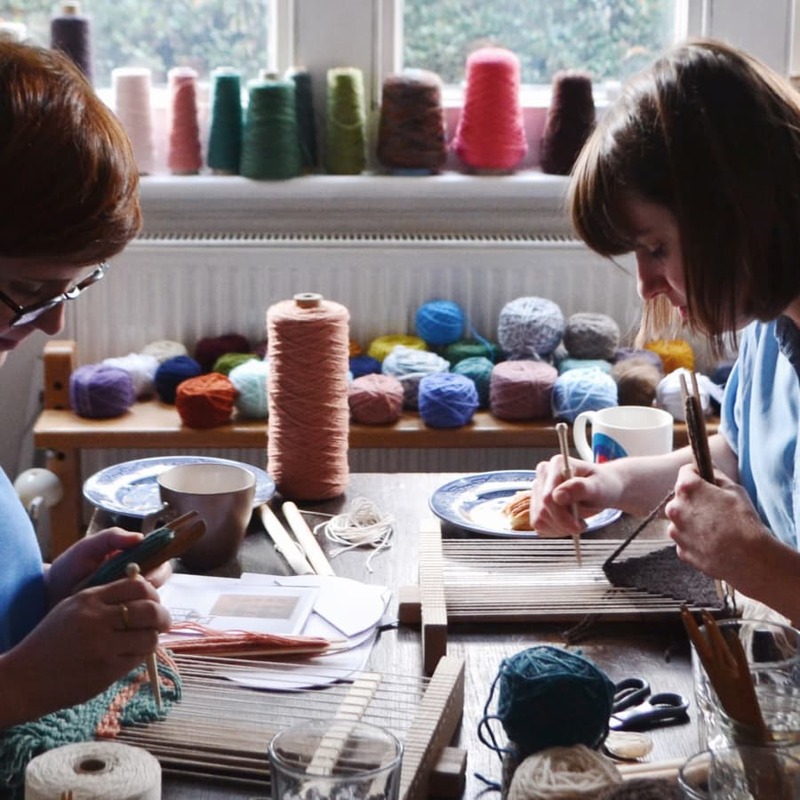 Each workshop is an opportunity to connect with the meditative nature of tapestry weaving, to slow down and enjoy working with your hands.